SPMVV Technician Job Opening for Instrumentation Laboratory. Walk in interview will be conducted on 12.12.2018 at 02:00 pm in the administrative building, Sri Padmavati Mahila Visvavidyalayam (Women’s University) Tirupati for the post of Technician (Purely temporary) in DST-CURIE Instrumentation Laboratory. Qualifications: M.Sc/M.Tech., in Life Sciences, M.Pharm. Desirable: Preference will be given to experienced candidates in handling analytical and Scientific Instruments. Interested candidates may send their bio-data to Prof.V.Kalarani, Convener, DST-CURIE Project, SPMVV on or before 12 pm on 10.12.2018 and required to appear for an interview, with all the necessary certificates in original along with a set of attested copies on 12.12.2018 at 02:00 PM in the university administrative building. Conditions for applying: Registration fee of Rs. 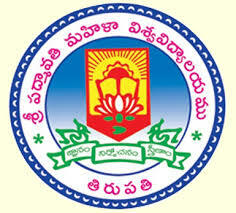 200/- through challan (Andhra Bank, University Campus, General Account) payable to the Registrar, SPMVV,Tirupati.